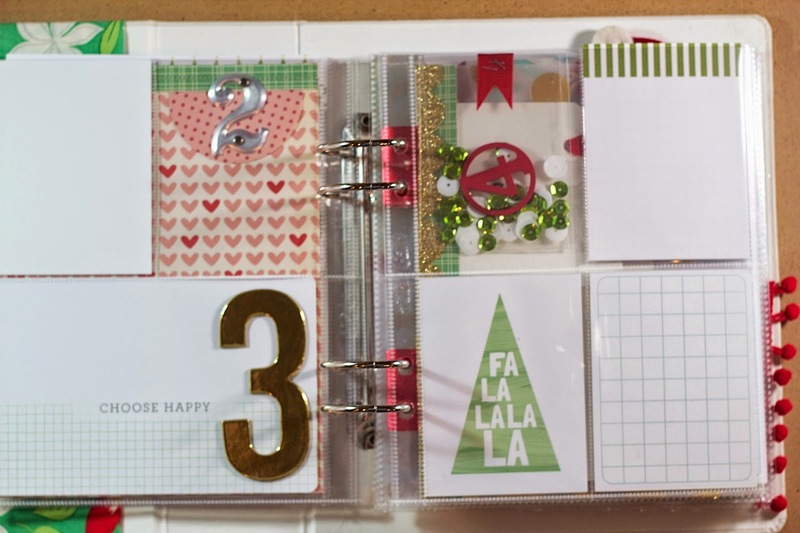 I wanted to pop in and share the foundation pages I have pre-made for my December Daily. Normally I do not prep any pages for a mini album, but for December Daily I know that for me to succeed with it, I must prepare in advance. Today I am sharing my cover and the first 15 days of December. You will notice that not every pocket is filled...and not every page is done. That is intentional. 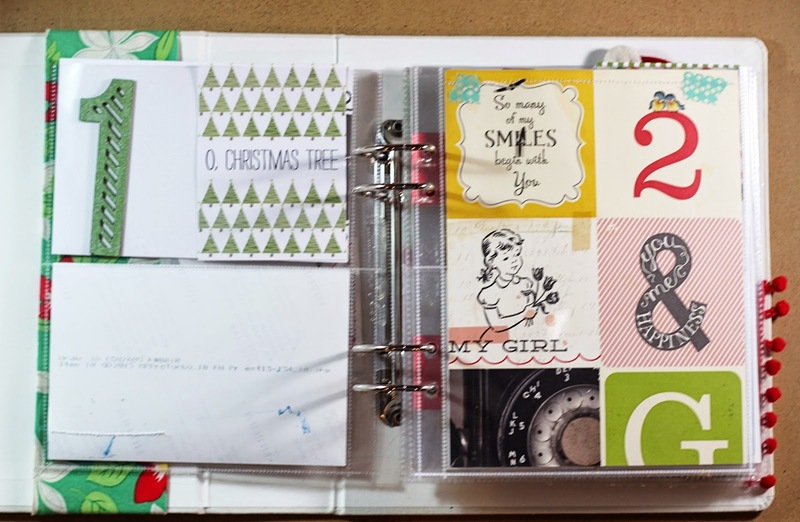 I wanted to get just enough of a beginning started for each day that all I have to do is print the photo, journal, and add any final touches. The bulk of the page is started - I just need to finish it. This is going to be an epic post in length, so grab a coke and settle in. This is my cover. The album I am using is a winter white and while the color is beautiful, I wanted a pop of color for my album. After hitting my local fabric store, I went home and sewed a band that will slide off and on. Add a ruffle and a piece of green velvet, and it now has just enough color. For the spine of the album, I kept it simple by just adding a wooden P (for my last name) along with red 2014 stickers. 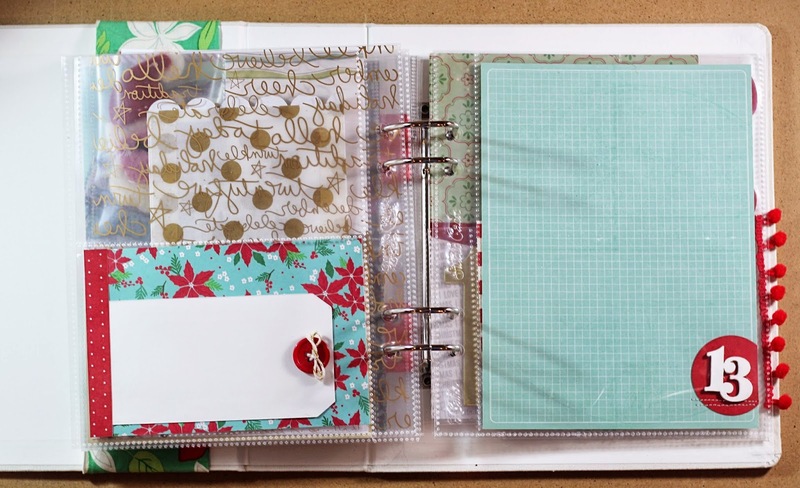 For my intro page, I decided to use a WRMK 4x4 page protector with a piece of polka dot vellum. 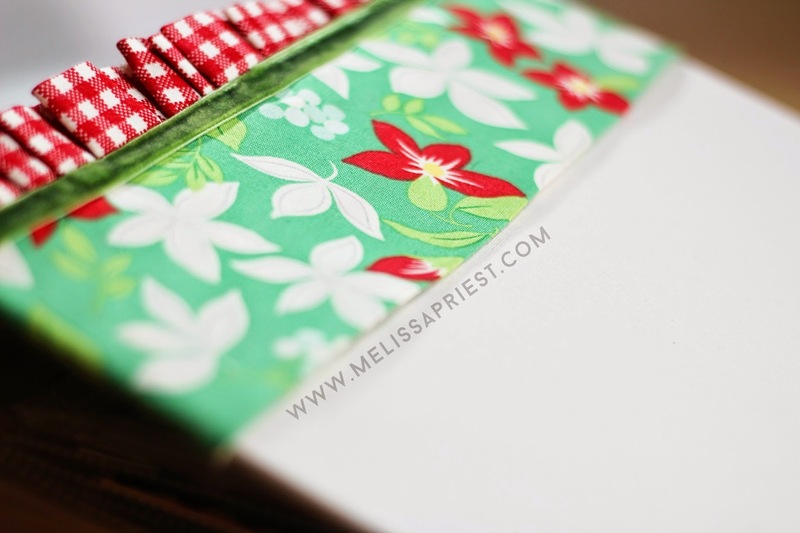 A tag that was diecut, a little bit of stitching and holly embellishment, and done. I love how it is a different size than the next page - allowing a bit to peep through. 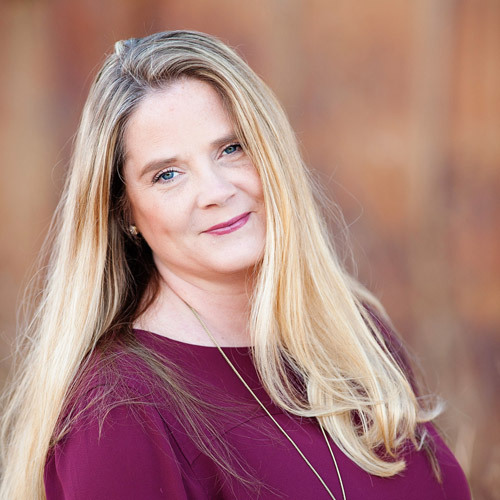 Right now, the back of my intro page is blank - I suspect I will add another photo of our family, or maybe one of our dogs. Not sure just yet. This page is the actual intro page. 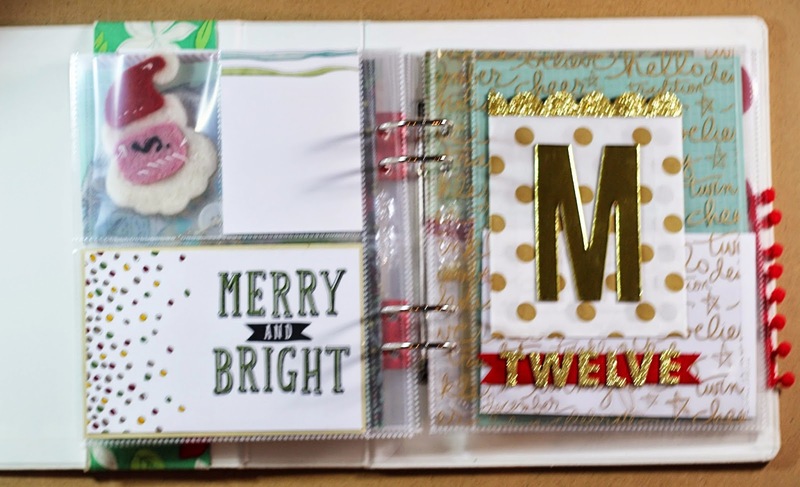 The journal card at the top is from Ali Edwards December Daily Kit and the photo at the bottom is my family. December 1 page is for our Christmas Tree. I am planning on including a 4x6 of us selecting our tree (bottom left), and a full 6x8 of our tree all decorated. Where the green 1 is, I will secure it down on a journal card and journal around the number. December 2 is going to be a special day - its the day that my newest niece is going to be born! To celebrate that, I added in some pink and lots of hearts. I have a place for a 6x8 photo, a 4x6 photo as well as a empty pocket for memorabilia from the hospital. On the journal card with the plaid, I added a felt heart stapled. My plan is to add the babies name + vital statistics to the bottom of the card. I have a stack of extra clear page protectors so if I need or want to add more photos here, I can. For pages 3 and 4, I have left the pages pretty blank. Dec 3 is marked with a extra large gold 3, from Ali Edwards. I have the number just dropped in the page protector for now. The other pockets are blank. Not sure what story I want to include here. 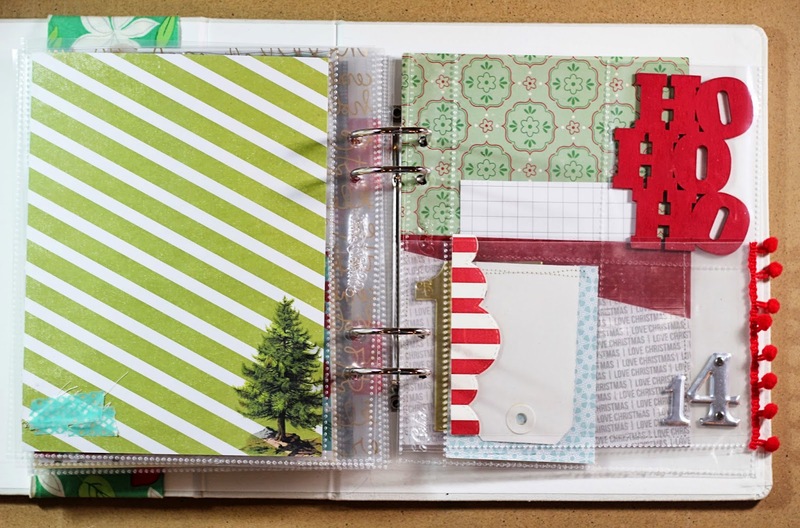 On page 4, I have made a shaker pocket, with a wooden 4 that is painted red and sequins. I have also slipped in some blank journal cards. Again, not sure what will go here, so I have left it fairly generic for now. December 5 is for our Elf on the Shelf. I heat embossed a wooden 5 and added enamel dots. 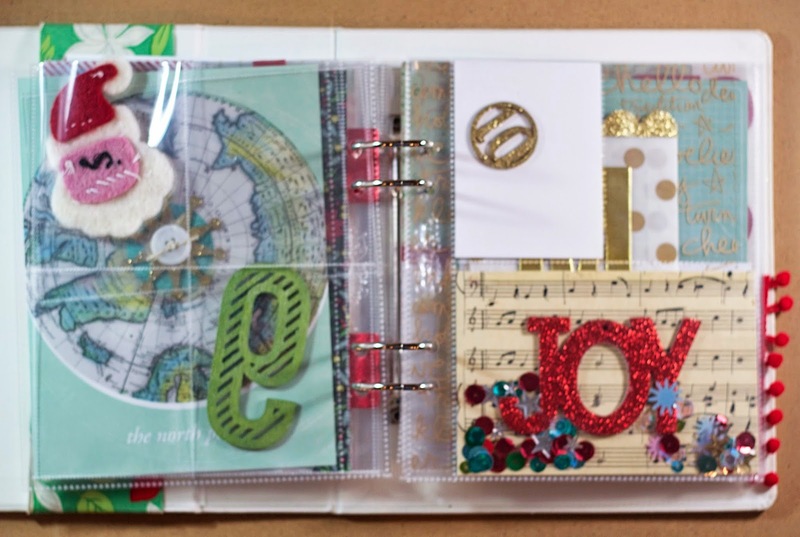 You can see the backside of Day 4's sequin pocket, I have also added a card and wooden veneer piece. The veneer isn't glued down just yet - that will come later. The other pocket is empty (you can see the backside of Day 4's card). I will add a 3x4 photo in that pocket. 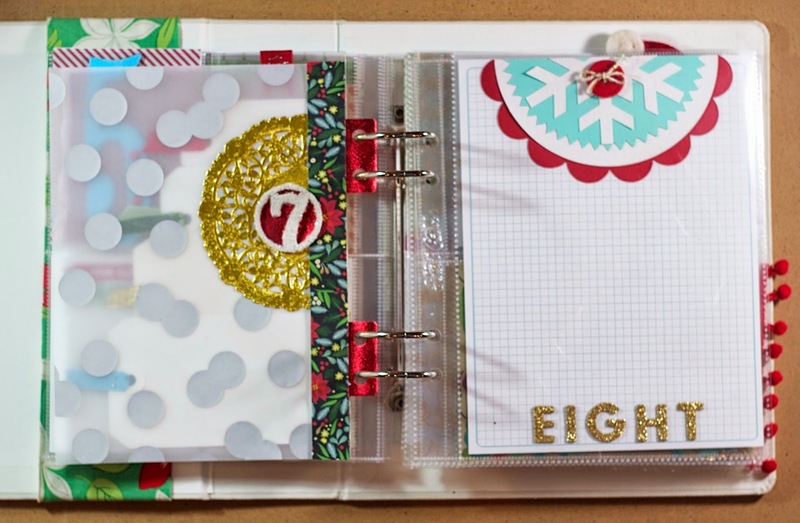 Day 6 is a homemade page, not in a protector. I took a 6x8 vellum sheet, and added shipping tags that are only attached at the end. 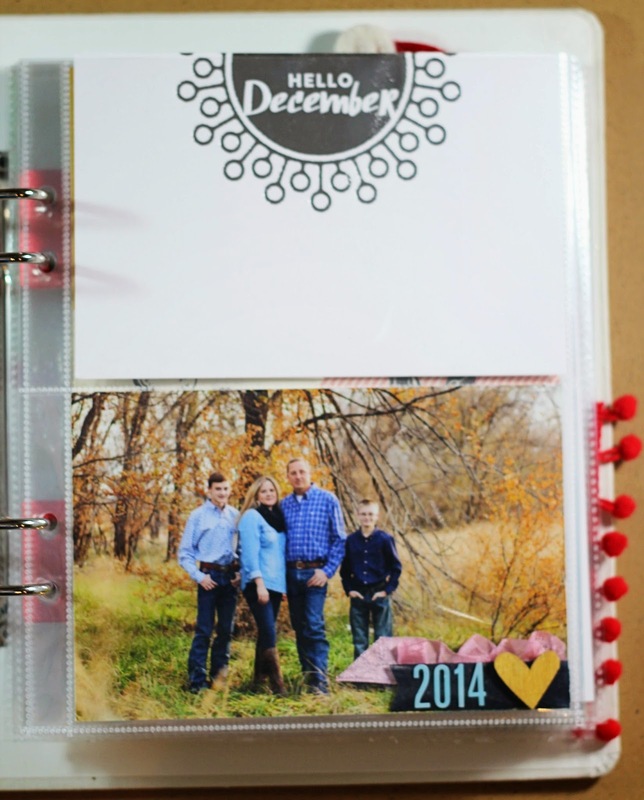 They can be lifted up to add photos while I include journaling on the front. 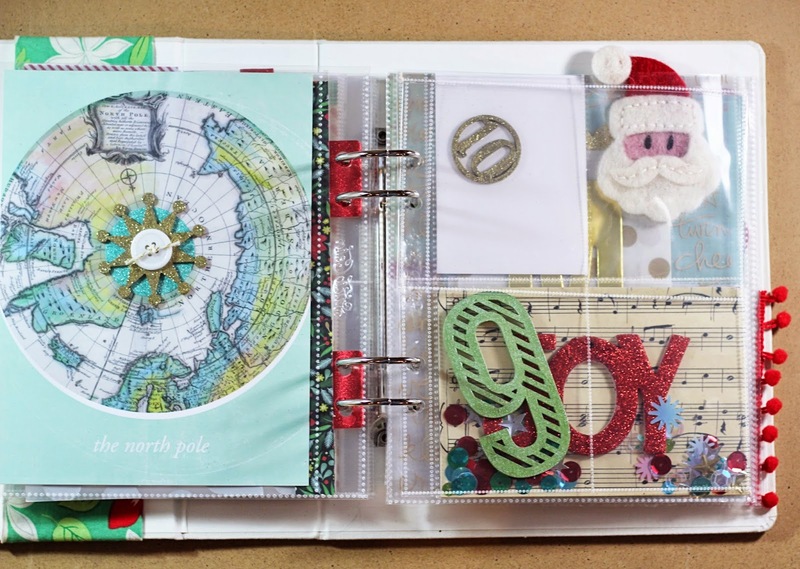 I attached this page to my album with a die from Studio Calico that is made to attach papers to an album. The holes are spaced perfectly so its a no brainer. A simple gold doily and a wooden 7 that has been covered in white flakes (not sure what its called....its like glitter but bigger flakes). 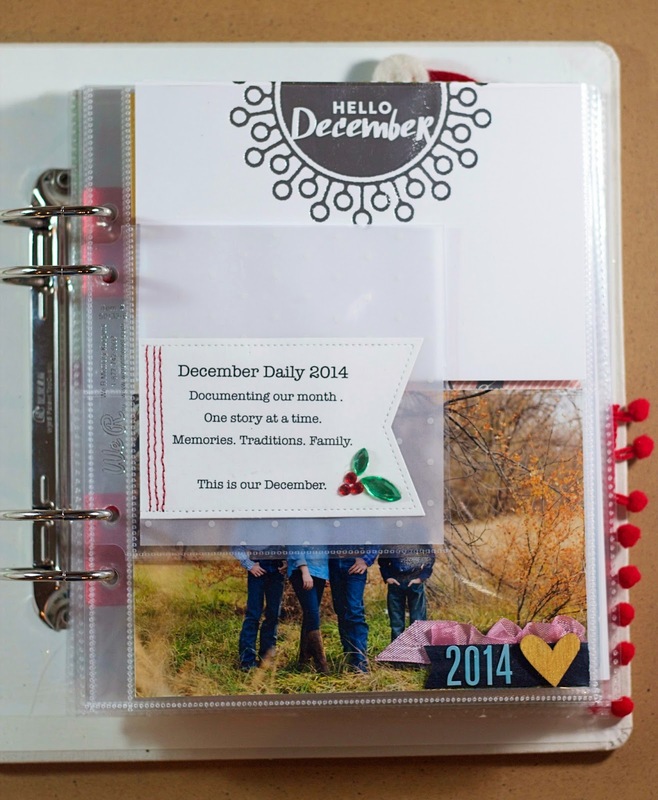 Day 8 was made using my Silhouette machine and a cut file from their store. Add in some gold letters, and done. My dad is going to be Santa at the Museum this year, and I have dedicated day 9 for the photos and story. I have slipped in a wooden 9 and also a felt Santa. Lots of space to add words and photos. I have left extra space for lots of photos on day 9. If I don't need all the space I can always add filler cards. We will see - not sure how many I will have. 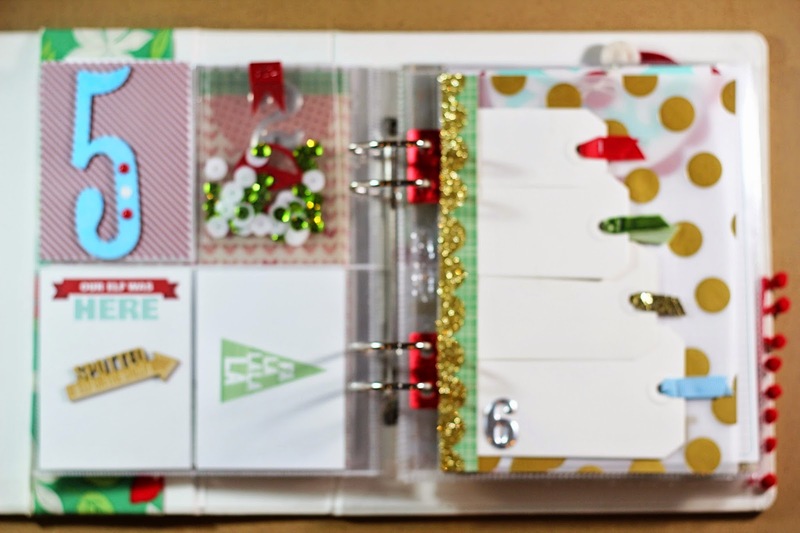 A Merry and Bright card and a coordinating journal card are all I have for day 11. I will need to slip in a number (maybe include it on the blank journal card?). You can also see the backside of the felt Santa. Not sure how I feel about that, but we will see how it all plays out when the time comes. My Birthday is on the 12th, so I know this day will have lots of things to include. To highlight the day, I have attached a polka dot bag to the front of a transparency from Ali Edwards. For the day, I have spelled out the number twelve, using gold glitter Thickers. My thoughts are that I will use the bag to include extra things - photos, recipes, etc- from my birthday. You can't really see it, but I have included an empty 2-4x6 photo protector to add more photos from my birthday. The backside of (for now) empty page protectors - but will either have photos or words...or maybe a cut out? 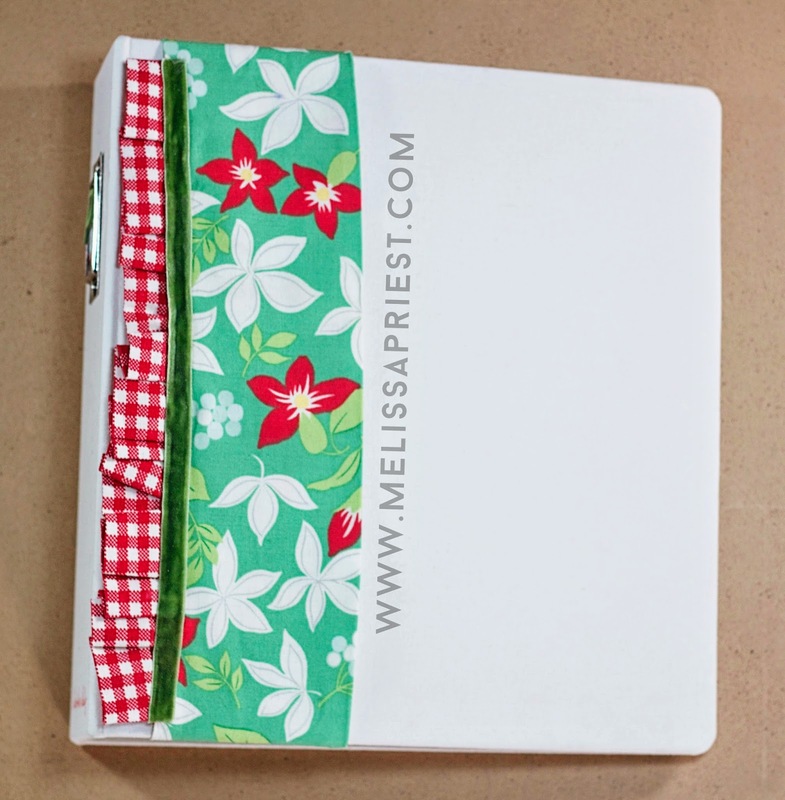 I have filled the bottom of the 2-4x6 with a tag sewn to a piece of pattern paper. For the 13, I embossed a wooden 13 with white embossing powder then backed it with a red circle. Easy. 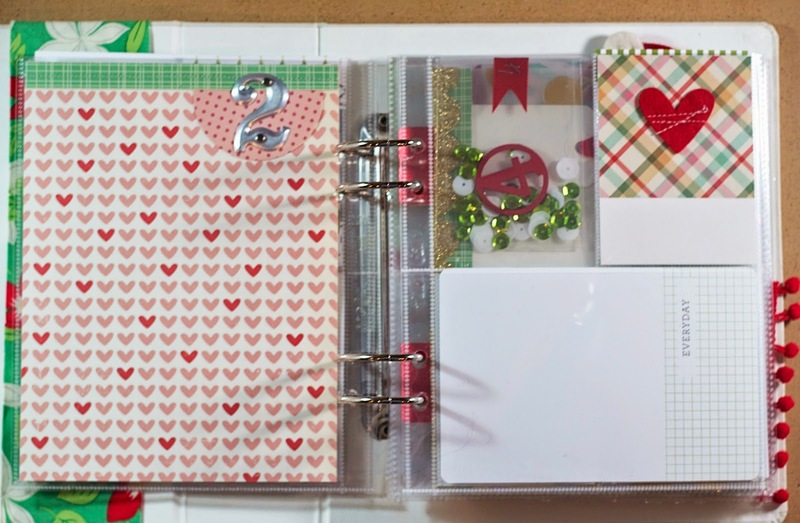 Lots of room for journaling or photo or maybe a combo of both. For December 14, I am leaving the backside of the 13th empty. Thinking I will add a large photo. On the other side, I have slipped in a wooden 'Ho Ho Ho'. Its hard to see, but there is a )for now) empty 4x6 photo protector on top of the of the metal 14. I have sewn a striped border to a clear overlay to add to whatever photos I include. Behind the clear protector are 2-3x4 pockets. I have slipped in a card with a tag sewn to it for journaling. And finally...we have December 15. 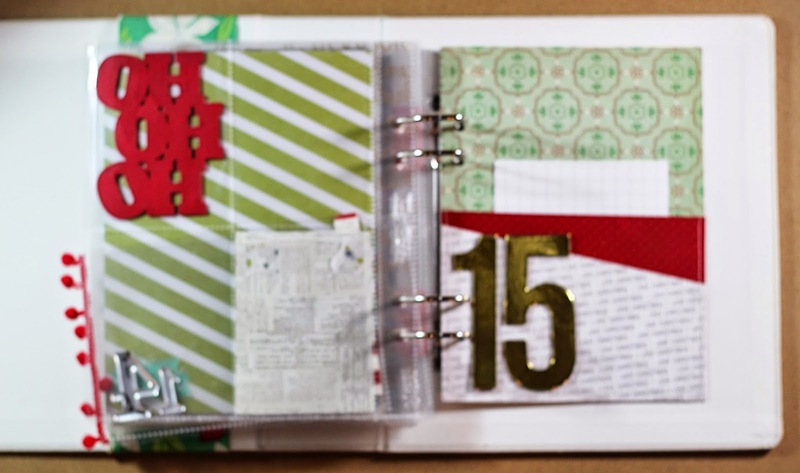 For the 15th, I am going to use the backside of the 14th for photos and journaling. Then on the other side I have sewn a paper pocket - maybe to stick more photos in, or maybe a letter. I don't know yet. The number 15 is gold chipboard from Ali Edwards. And there you have it. Did you make it all the way through?? Ha. Lots of photos and its only the first half of the month. I will have another post later in the month with the other pages. I will be back later this week to share the first few days. Today my twin brother and his beautiful wife are having their first baby, so I am going to be wrapped up in all things sweet today. I cannot wait to meet my newest niece. Say a prayer for them if you get a chance! So have you shared your pages yet? Leave a link to them in the comments and I will leave you some love! Loving your album and all the wonderful items you have added! So pretty. Love everything you've chosen, the shaker pocket adds so much color. It will be a great album.